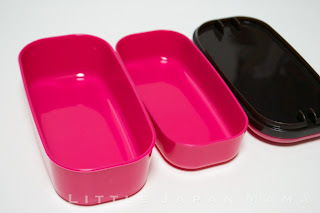 Then when you have finished eating your bento, the lower box nests neatly inside the empty upper box, making it super-compact for carrying home and storage. 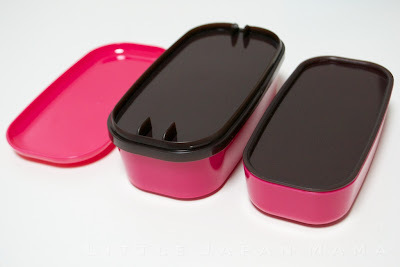 The upper box can also be used alone if you're just packing okazu (things other than rice) to take along with onigiri (rice balls), or for a small lunch. 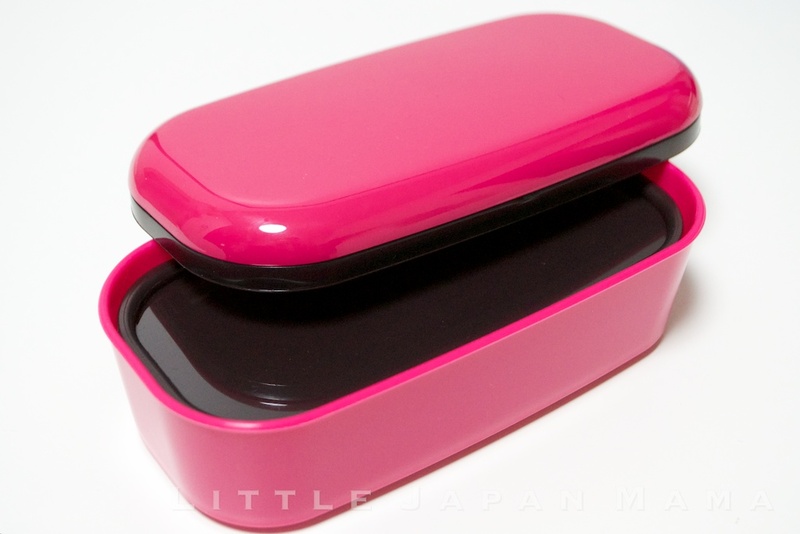 Under the lid is a third compartment for your chopsticks or spoon and fork. Fun, versatile and budget priced. Microwave safe for reheating (with all lids removed) and heat resistant to 120°C /248°F. Not for use with soupy foods - not watertight. 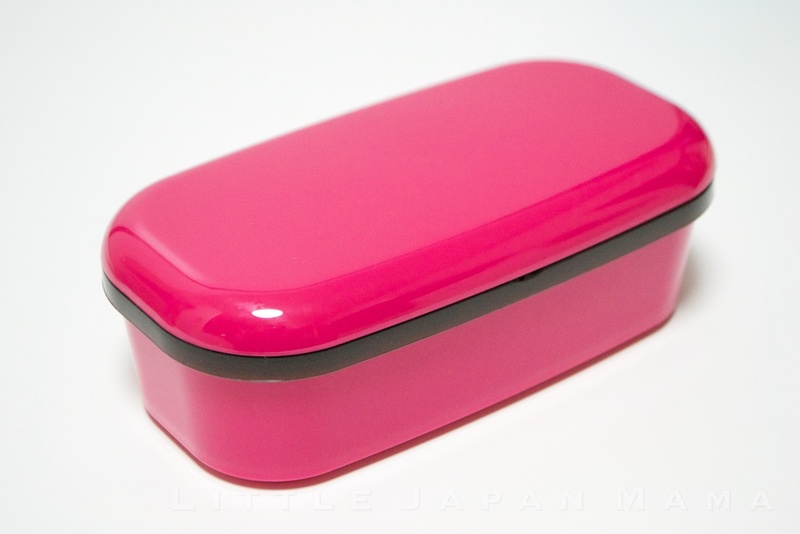 The green bento box is on its way to you, Deena! Wow, I did't know that you can get gobo in England!! It isn't easy , you have to go to the Japan Centre on Regent Street in London . Its worth the trip to get the vegetable but I DO wish someone would start selling it in Nottingham . I'll probably get some more in early November. Thanks for your patience! The pink and blue two-tier bento box sets are here! 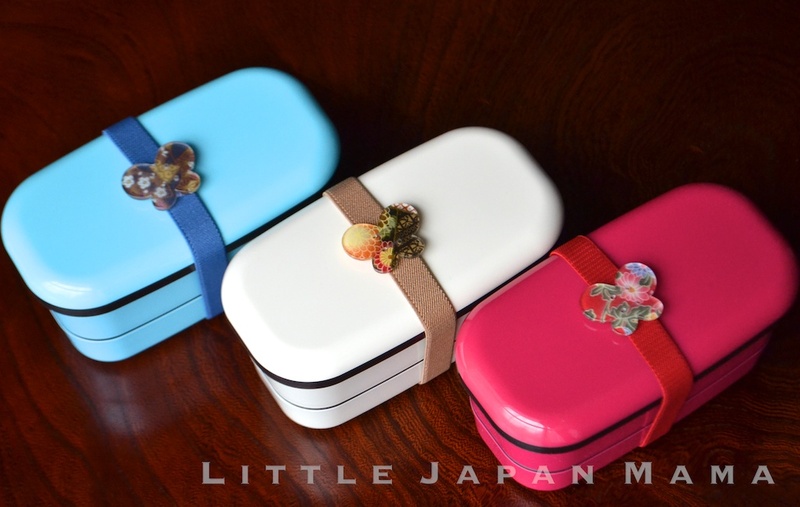 When will you be getting more Cream with chopsticks bento boxes? I want to get the bento box in cream with a cream band but I want to get the spoon, forks, and chopsticks, is that possible? Hi, If you'd like to request fork, spoon and chopsticks, please email me. I will let you know if I have extra in stock, and it will cost an extra $1.50. 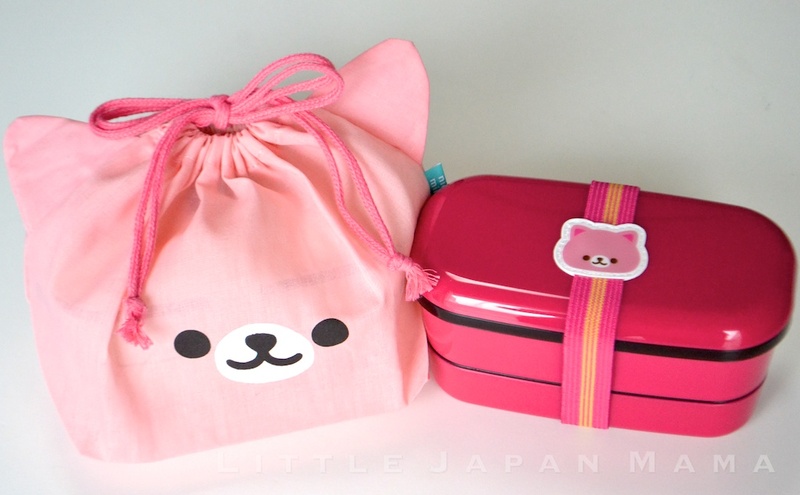 I have placed a paypal button labelled "additional requested item" on the bottom of the "Bento Shop" page, for special requests such as this. Hi, just wondering what colours and utensil combinations are left in stock? I just tried adding cream with chopsticks and pink with fork spoon but these showed up as out of stock when I got to checkout. Will you be ordering any more in these colours soon? Thanks! Hi! 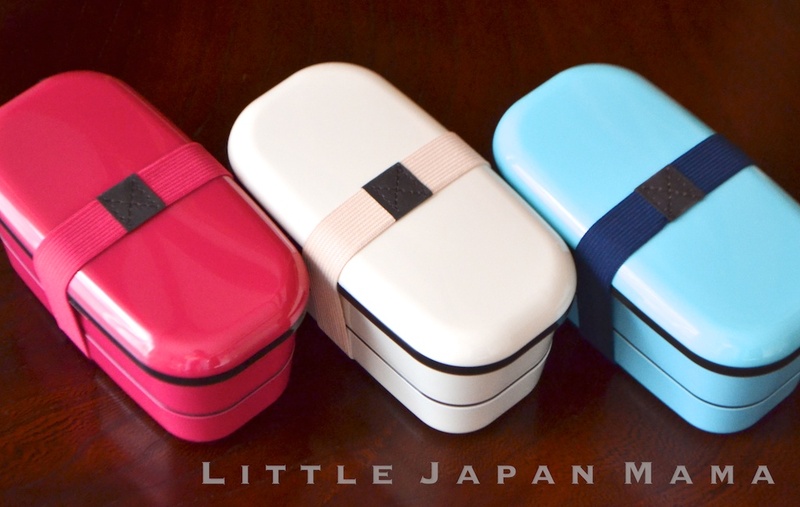 Right now they should all be available except for pink with chopsticks and blue with chopsticks. I just updated the numbers so please try again, thank you!